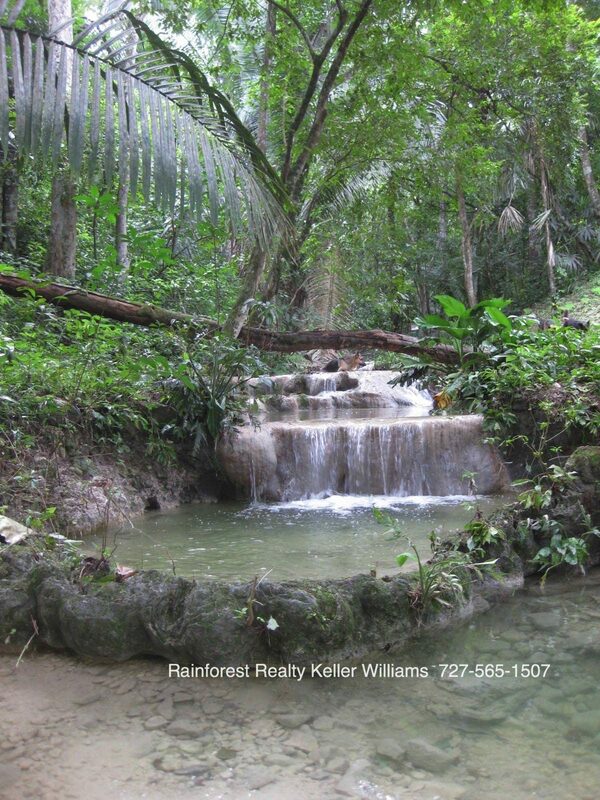 $ 174,000 USD :Belize Land with cascading waterfalls on 3 acres. Property has a small cabin and is less then 6 minutes from San Ignacio town! Contact us for a showing. Belize Land with cascading waterfalls on 3 acres. Looking for a place to call home that has cascading waterfalls and yet close to town ? No need to look further, this retreat has it all ! Located in a forested area of San Ignacio, less then 6 minutes from San Ignacio town, you will feel as though you are in the depths of the jungle, with beautiful fauna, stunning toucans and a cascading waterfall, all that is missing here is you! This 3 acre property gives you an abundance of land to expand on, while affording you the luxury of having space around you ! This property includes a small wood cabin perfect for you live in while building your own personal paradise on this beautiful 3 acres. San Ignacio is one of the most popular areas in Belize. Make sure you go to the Market downtown and partake in all the goods and services offered each weekend. You will love the market with the fresh fruits and vegetables!